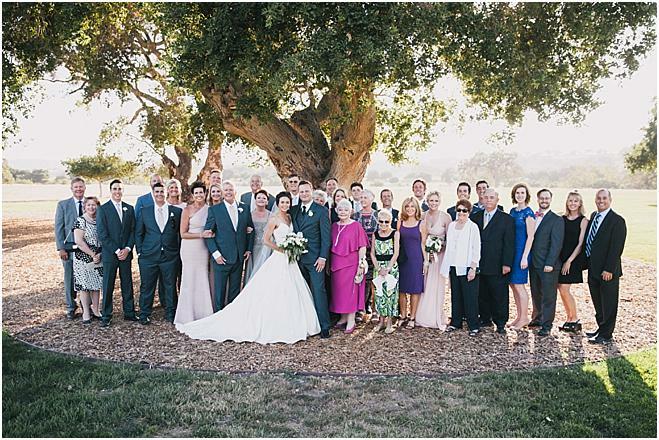 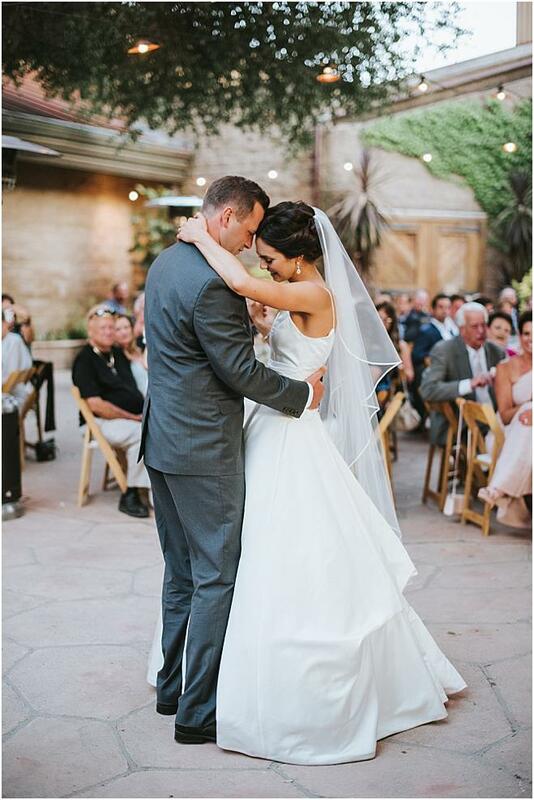 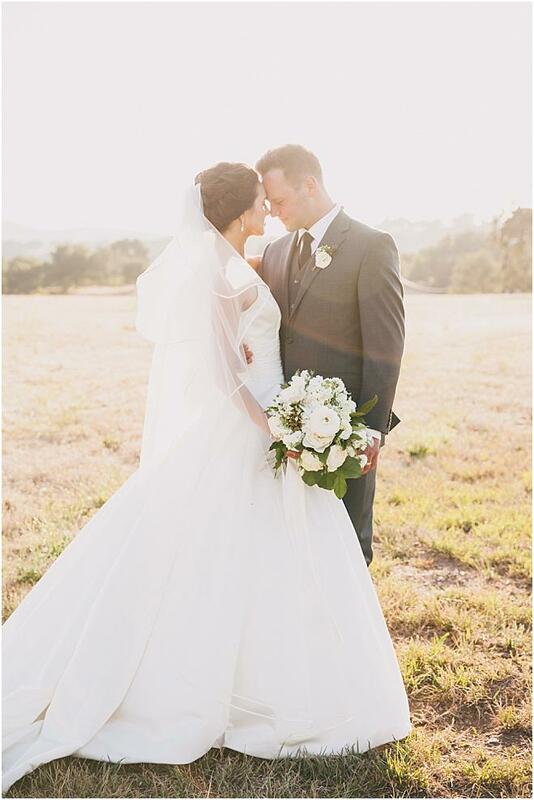 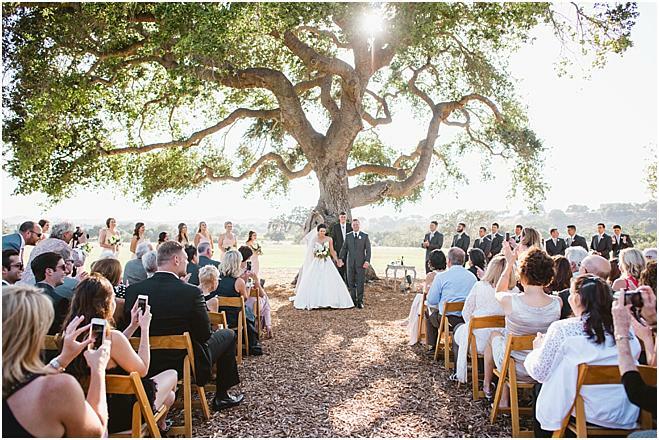 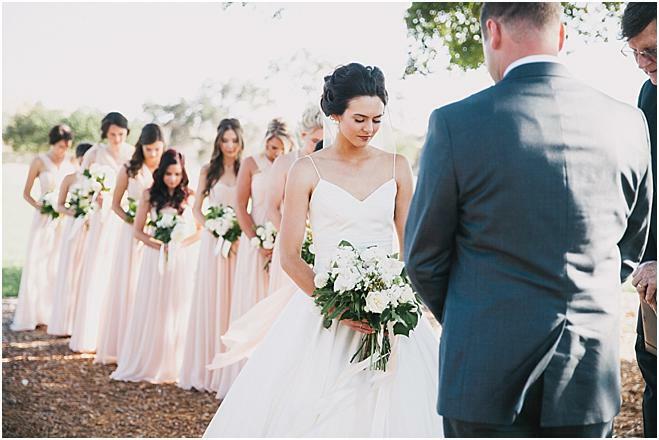 Ellery and Rarig's stunning wedding at Firestone Vineyards in Santa Barbara rested enveloped in an aura of love and charm. 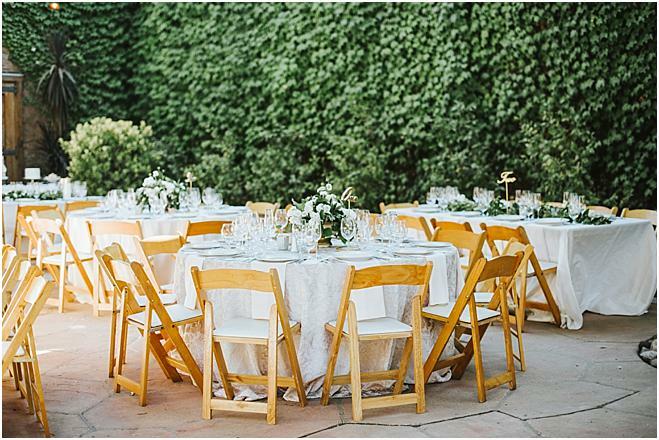 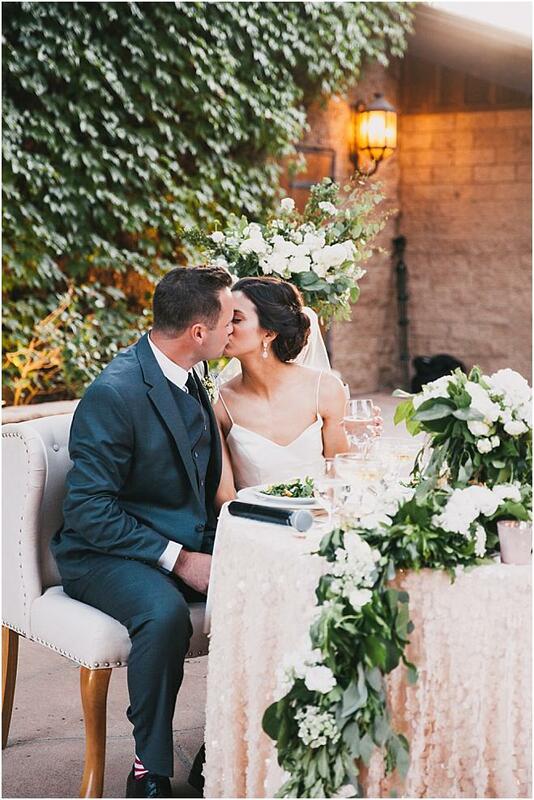 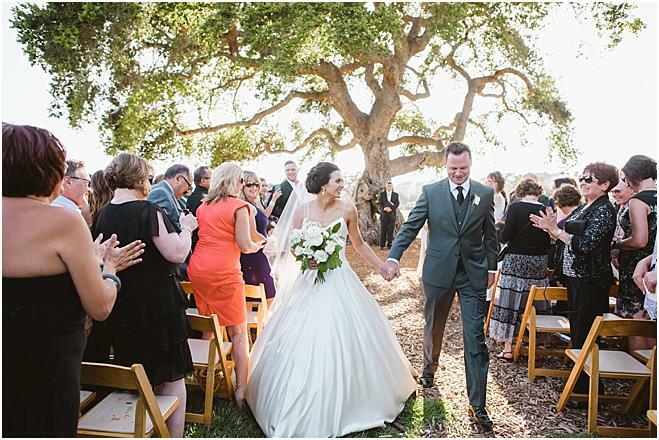 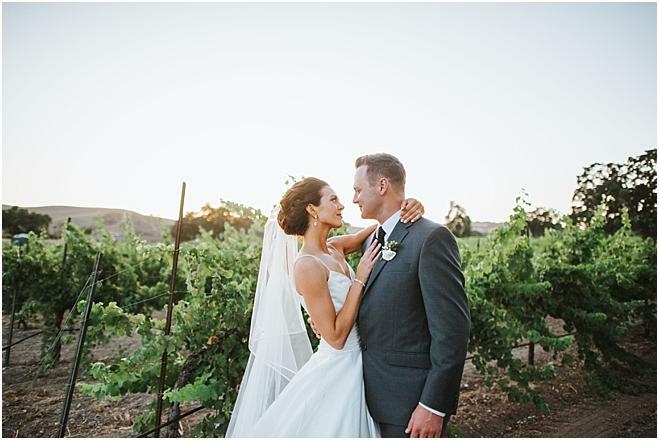 The gorgeous venue flaunted a beautiful green vineyard accented with luscious foliage and blooms, making for the most romantic spot to say "I do." 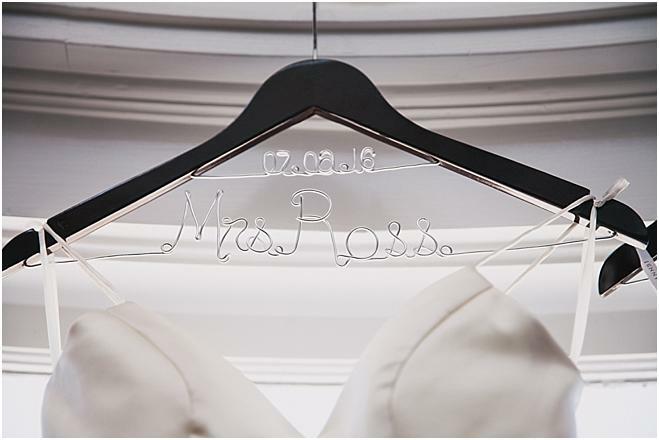 True to Ellery's dreams of celebrating the holidays in New York City, Rarig popped the question during dinner on New Year's Eve, a perfect and unforgettable start to the couple's journey to the altar. 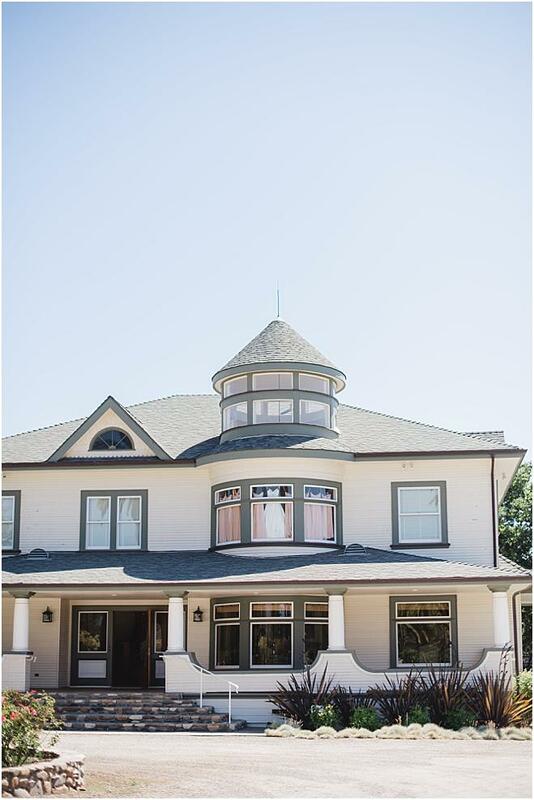 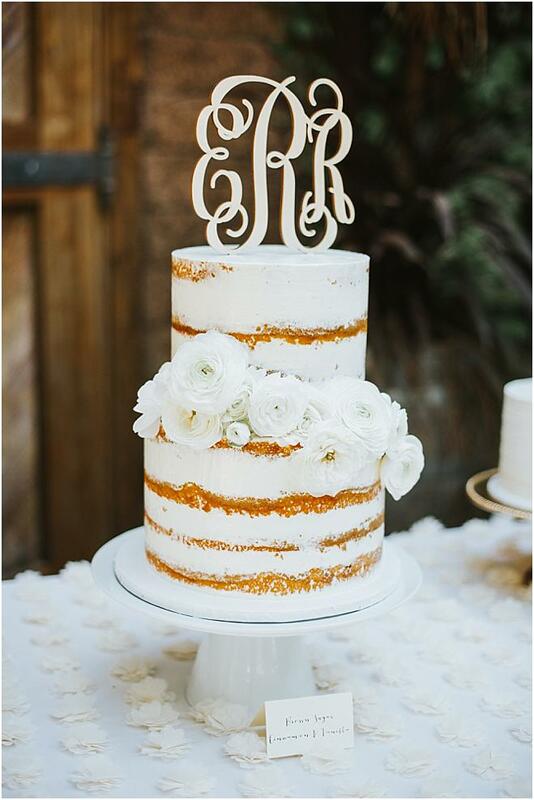 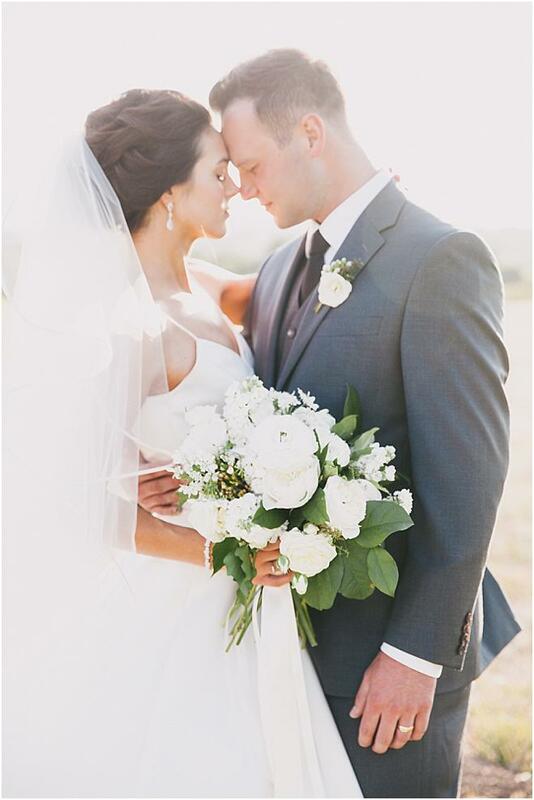 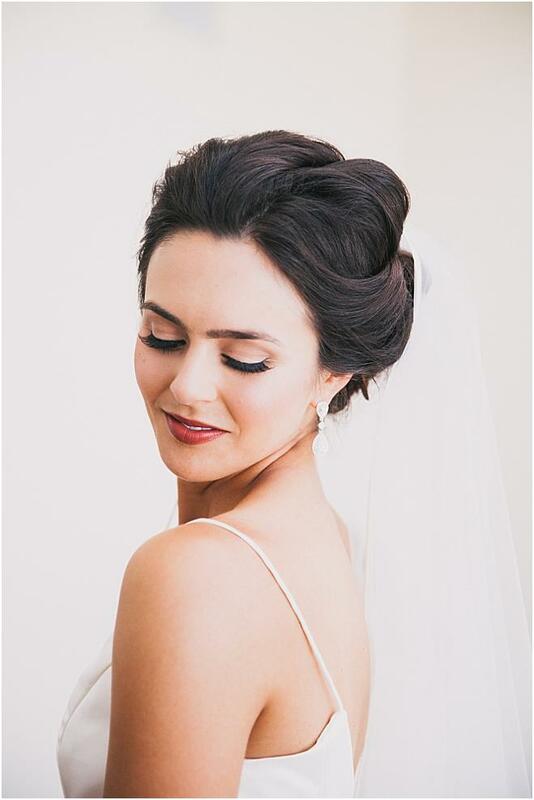 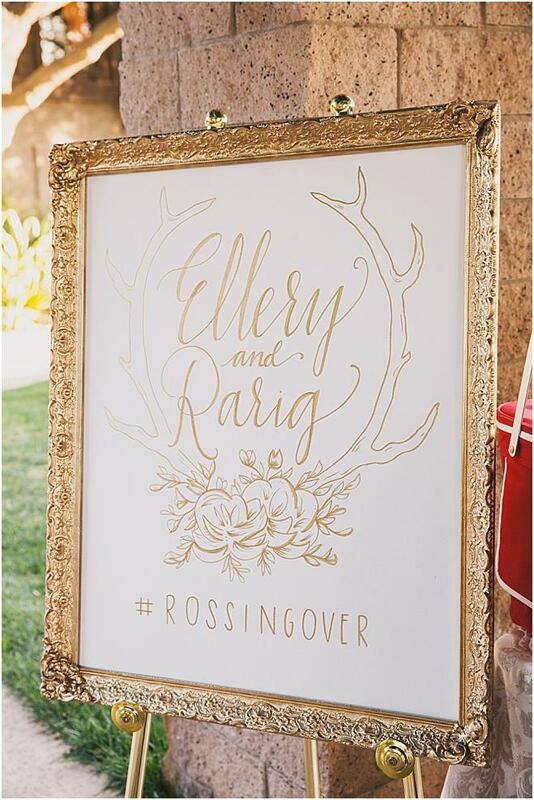 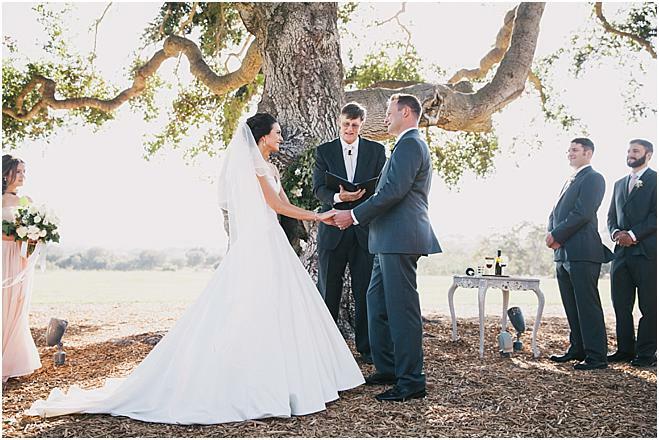 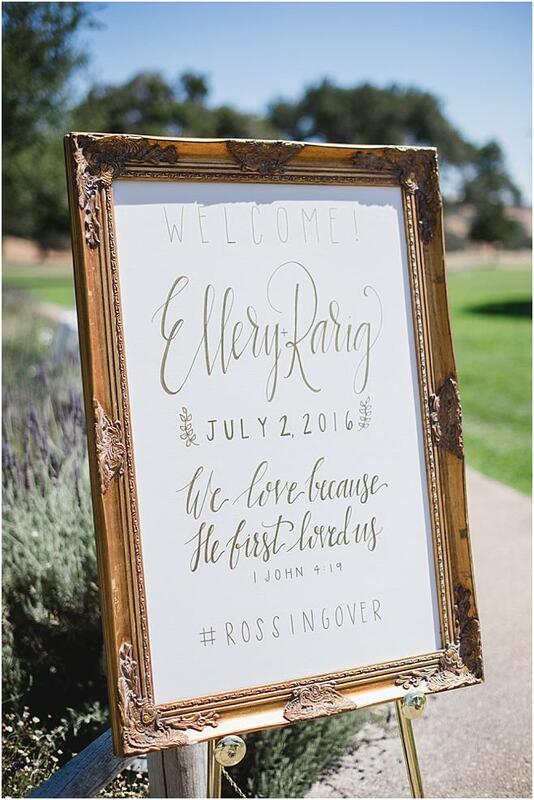 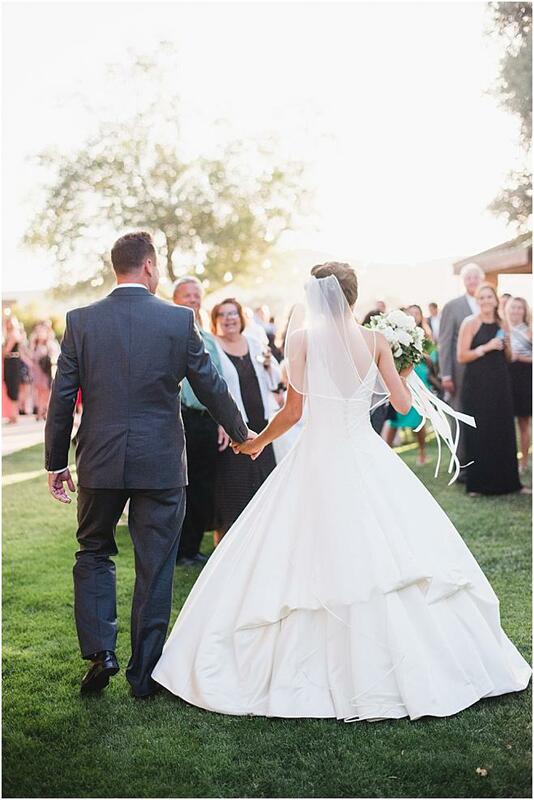 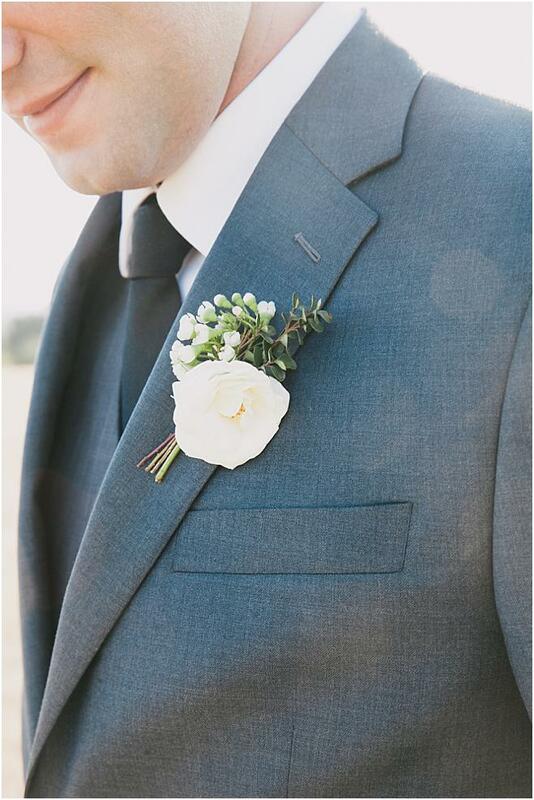 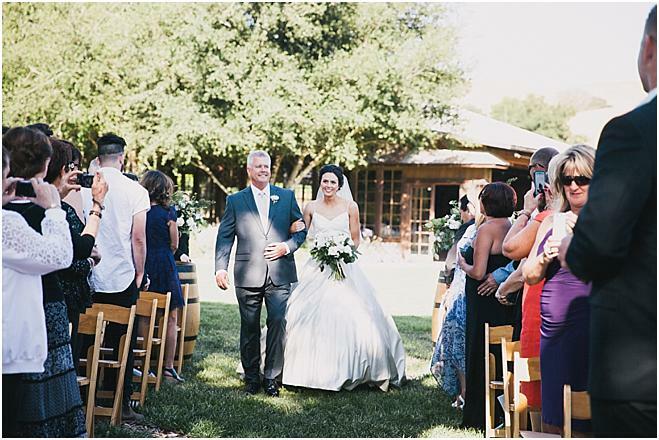 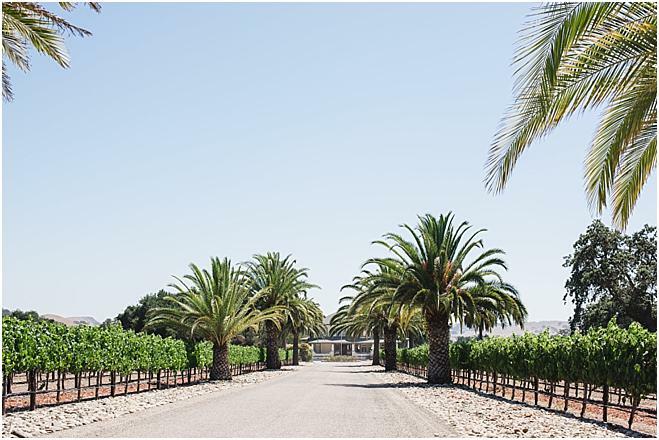 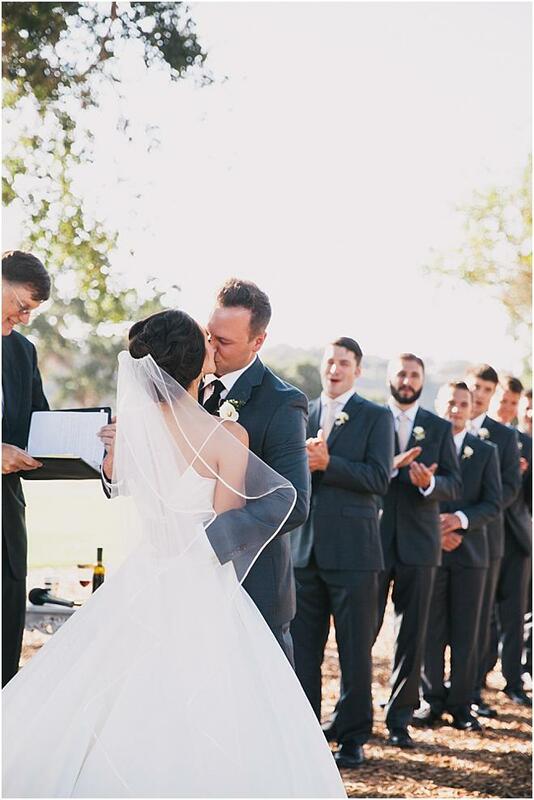 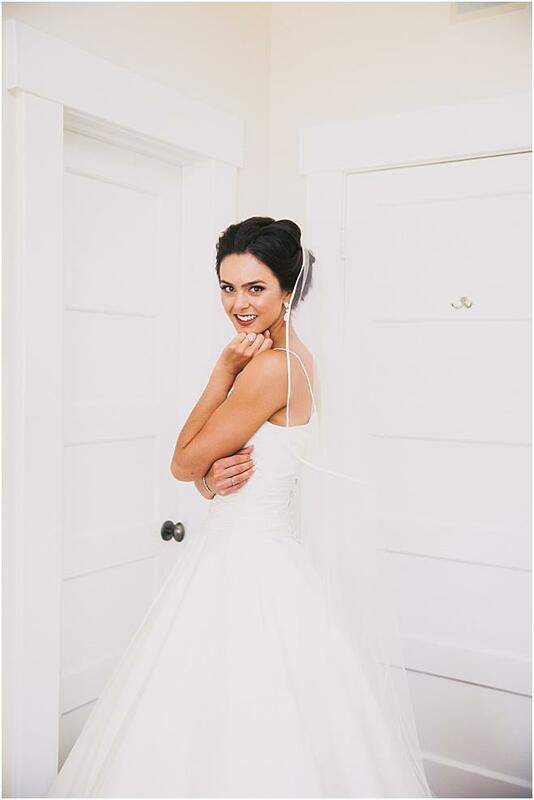 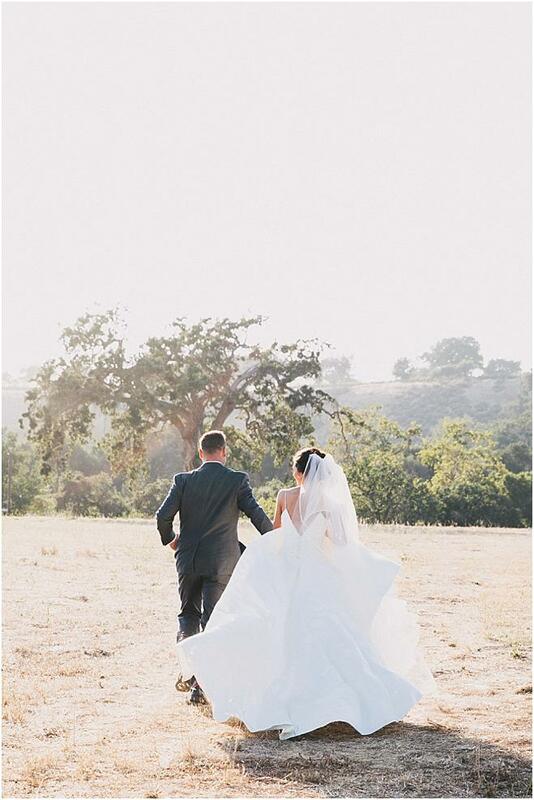 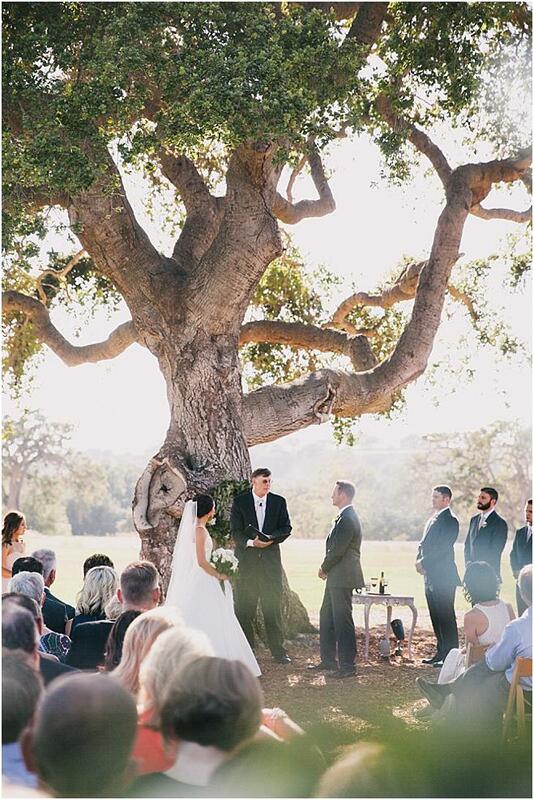 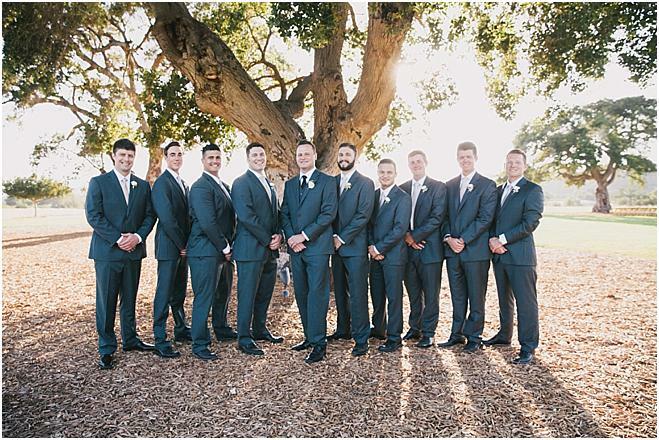 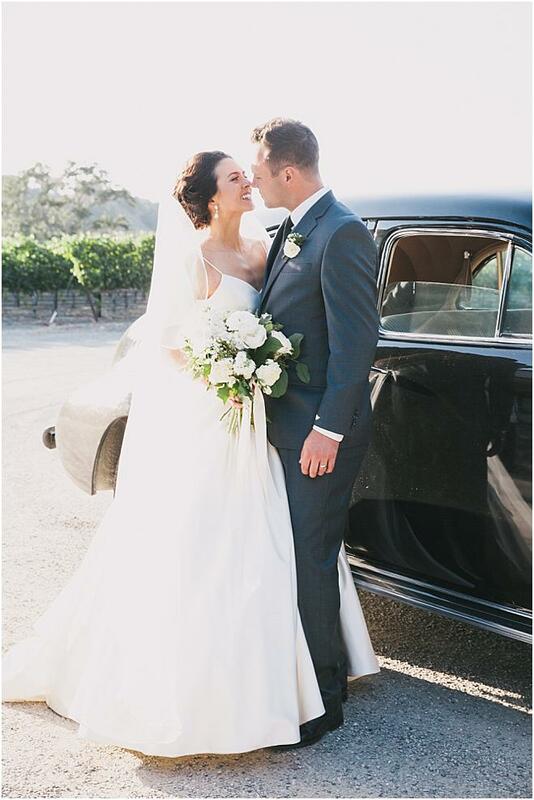 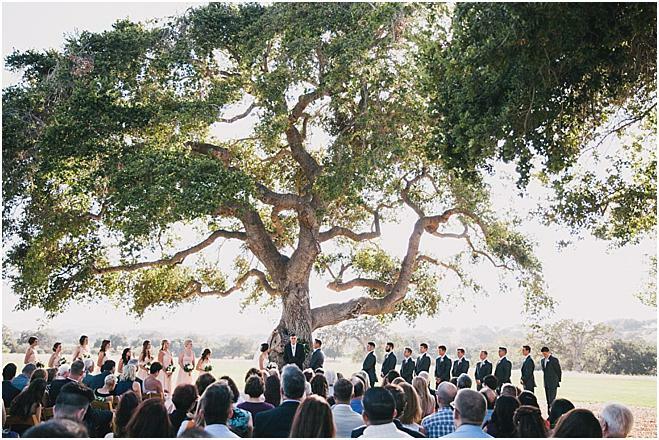 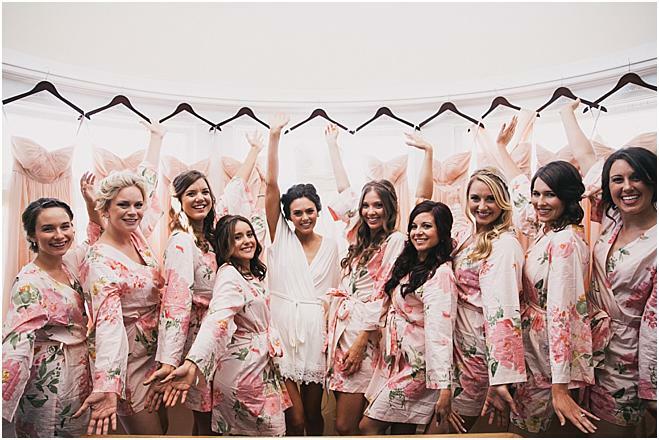 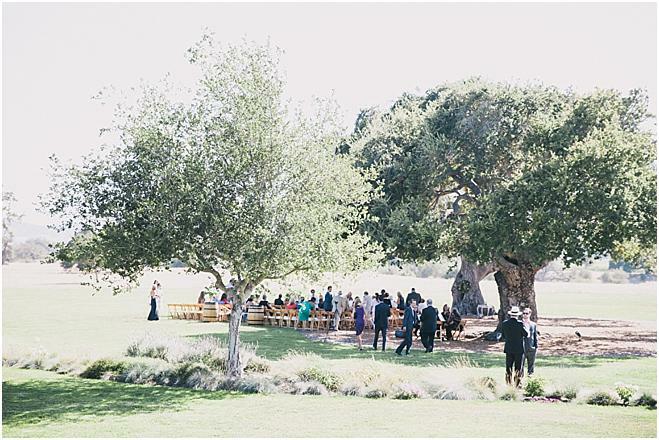 Ellery and Rarig had their hearts set on a vineyard wedding, as Rarig had long worked in the wine industry and the duo had ultimately fallen in love in beautiful Los Olivos. 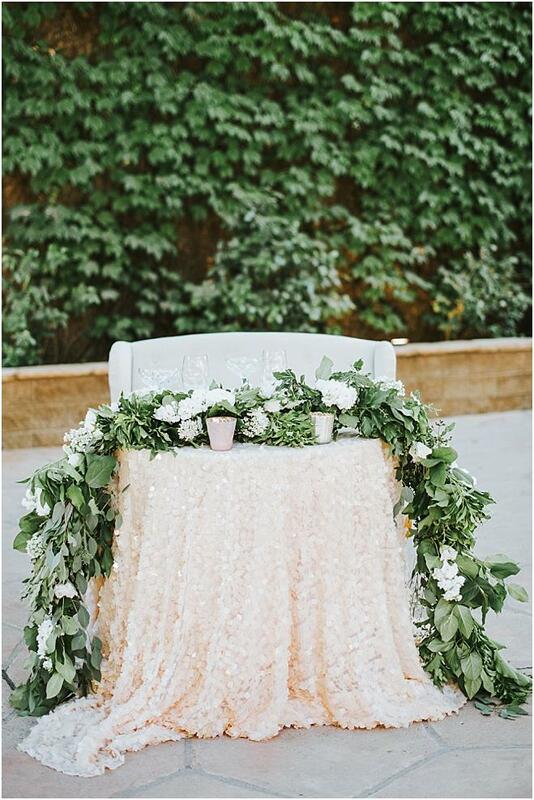 A color palette of ivory, gold and blush blended flawlessly with the ever-present greenery of the venue, creating a light and whimsical feel to the affair. 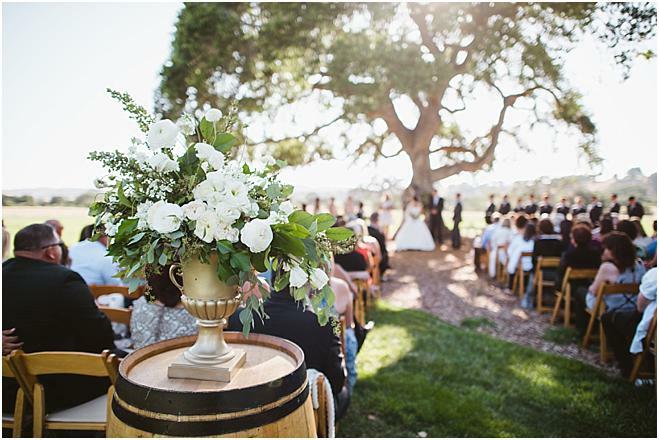 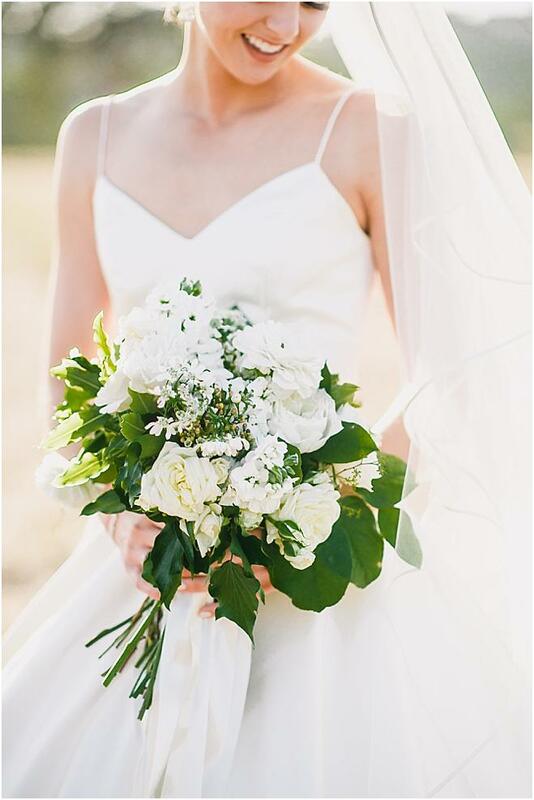 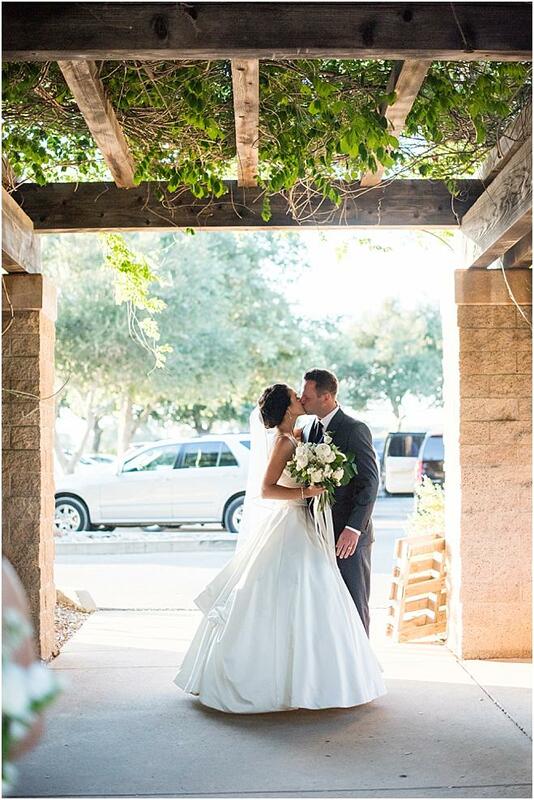 A beautiful floral wreath hung on the grand oak tree the couple got married beneath, a simple yet lovely detail that perfectly matched the bride's bouquet and ceremony decor. 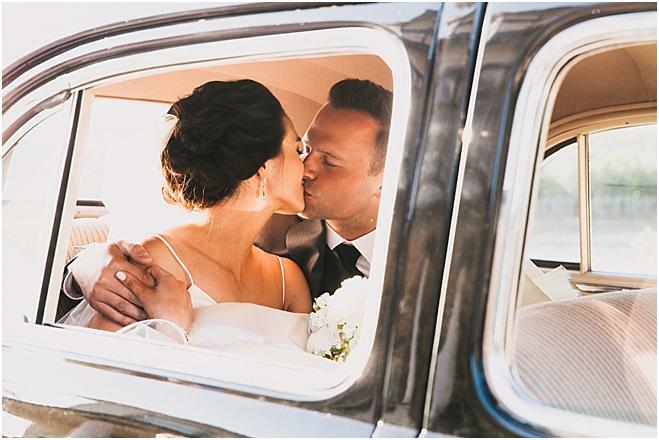 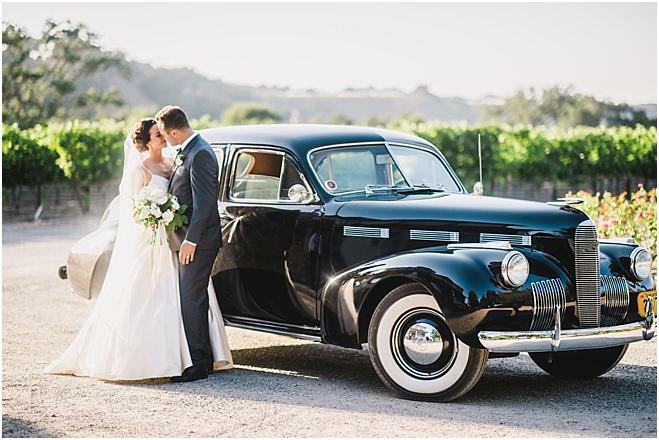 Right after tying the knot, the couple took a 1940's Cadillac on a drive through the country to celebrate their first moments as husband and wife. 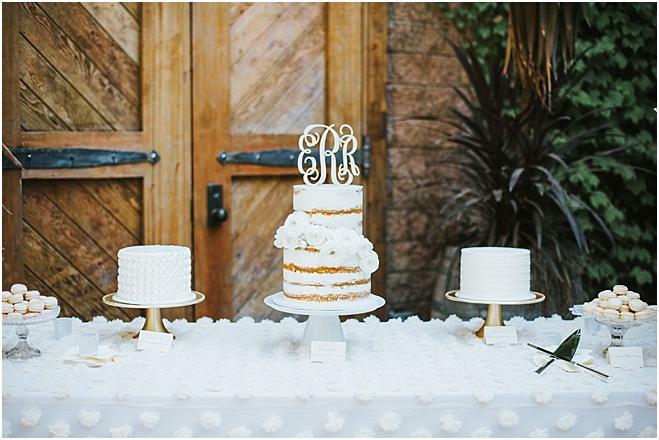 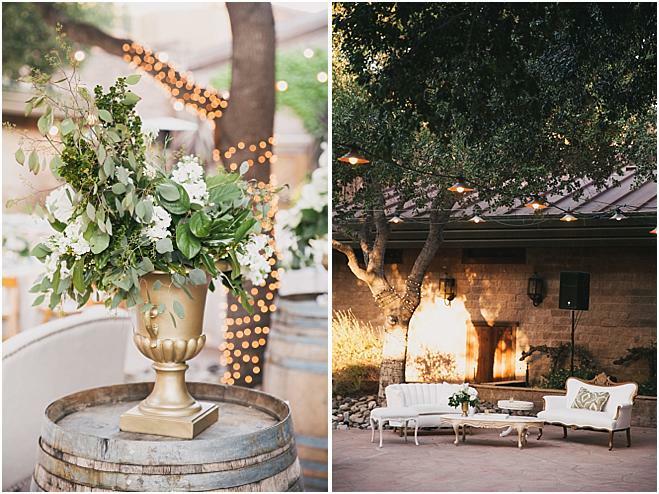 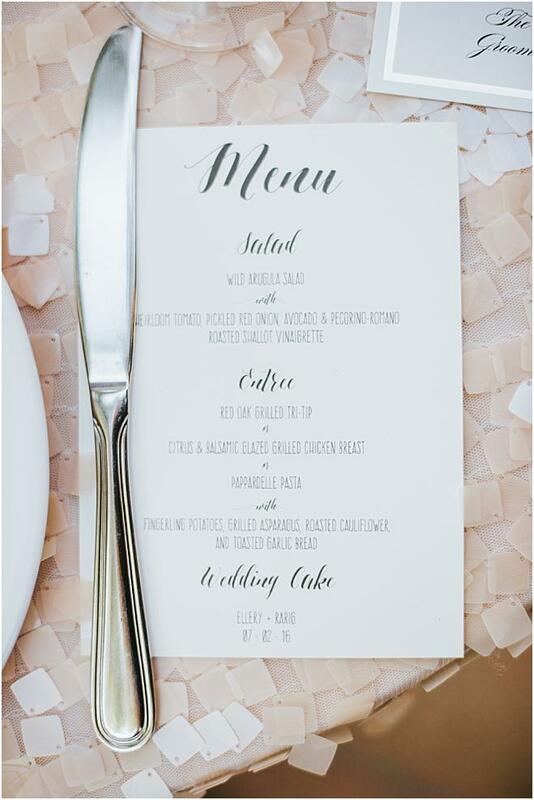 Vintage furniture from Embellish Rentals added hint of rustic charm, while pops of blush and cream kept the decor feminine and elegant. 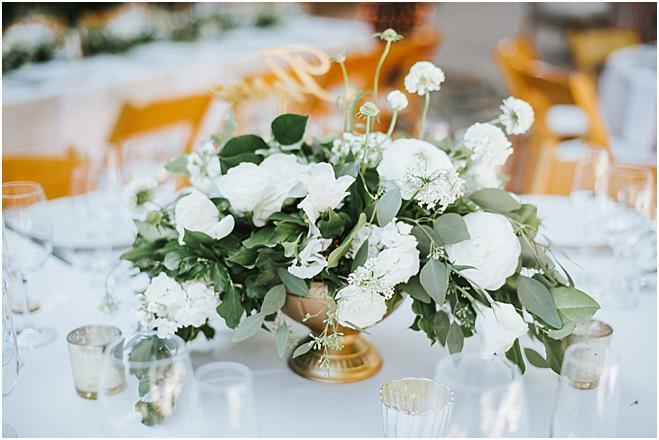 Garlands of eucalyptus leaves and ivory roses accompanied by cicrular floral arrangements graced the reception tables and guests received a bottle of wine boasting a motif with the couple's initials. 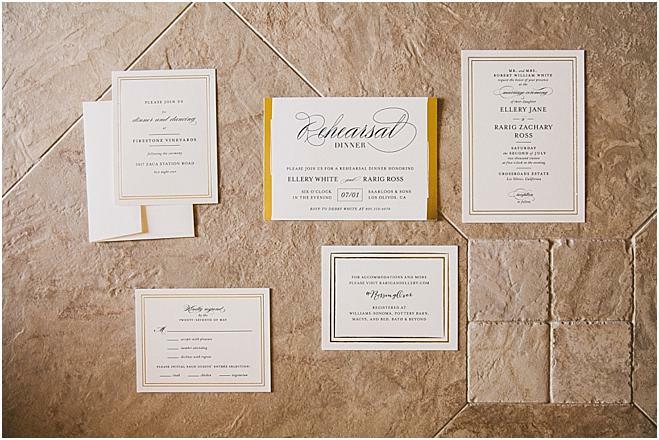 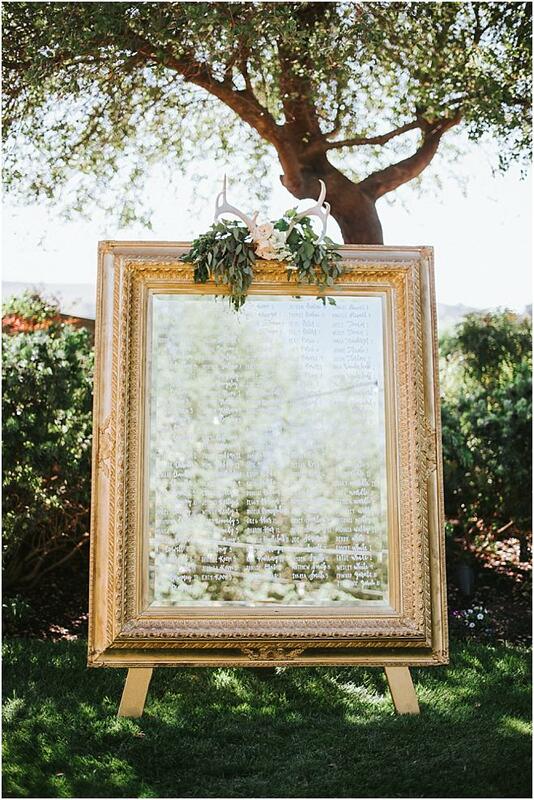 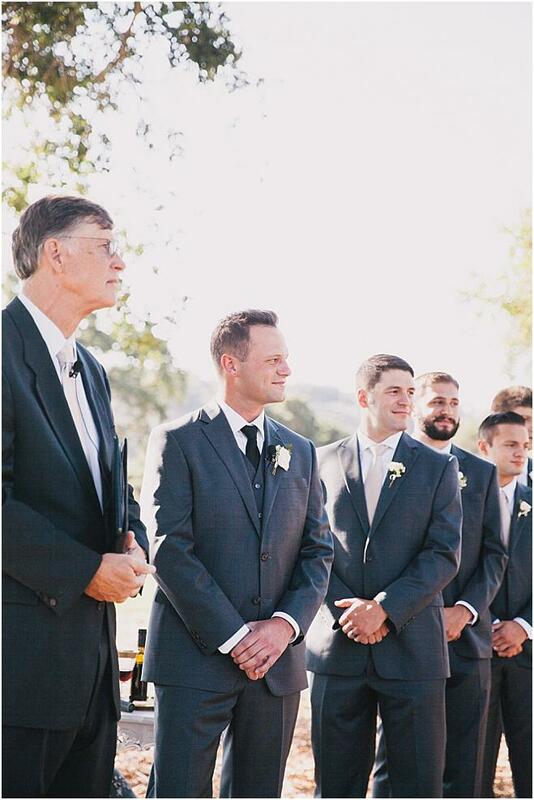 The couple displayed photos of all of their family members at the reception to pay tribute to their loved ones, a sweet and personal touch to the affair.